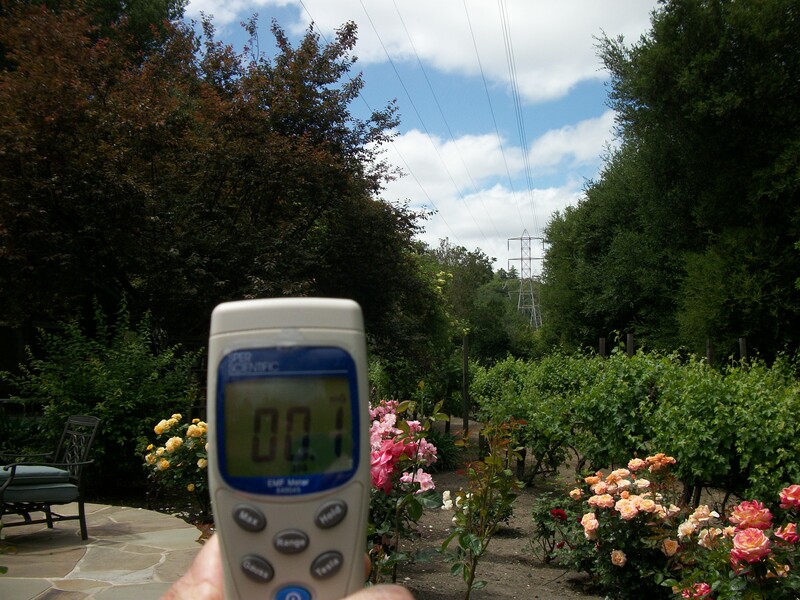 Electromagnetic Field - EMF Assessment Surveys and Evaluations | Biomax Environmental Inc.
BioMax Environmental’s Senior Certified Industrial Hygienist (CIH) has performed a number of Electromagnetic Field (EMF) surveys and assessments throughout California. A look at a number of news headlines recently has given us a great deal to “worry about” regarding Electromagnetic Fields (EMF) and is a very hotly debated subject when it comes to the federal and state regulators, the public utility industries, and public concern. 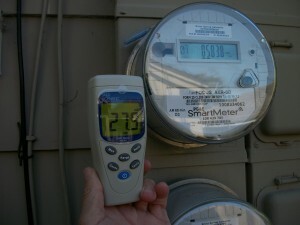 In fact, there has been a wide range of focus pertaining to public health concerns over the past few decades from both recognized and perceived health effects from exposure to EMF from numerous sources and personal devices such as computers and TV screens, cellular phones (and their base stations), microwave ovens, power transmission lines, and even the “dreaded” SmartMeters. 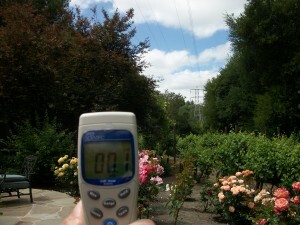 Electromagnetic fields (or EMF) are present everywhere in our environment but are completely invisible to us. In fact, electromagnetic fields are really a combination of two different forms of non-ionizing radiation and are quite different, but are linked together in many ways. Electric fields are created by a difference in electric voltage where the higher the voltage, the stronger the resultant electric field. An electric field will exist even when there is no current flowing (such as in a disconnected battery). However, magnetic fields are created when an electric current flows… and the magnetic field strength will depend on the strength of the electric field. The greater the electric current… the stronger the magnetic field. As an environmental consulting firm, BioMax has researched many government agency and public utility documents regarding typical ambient and residential levels of EMF associated with 60-Hz electrical power transmission lines (such as those used in our communities by PG&E). We have seen that a number of regulatory agencies have made significant efforts to offer public protection “guidance” regarding EMF exposure levels and some have proposed a limit of 3 milli Gauss (mG) as a maximum recommended level for long-term duration exposures. The USEPA has previously proposed a safety standard limit for long-term exposures to EMF at 1 mG. Many countries, such as Sweden, have similarly set maximum safety limits for long-term exposure to EMF at 1 mG.
Mr. Michael A. Polkabla, CIH, REA is the Senior Certified Industrial Hygienist with BioMax Environmental and has over 20 years of professional experience with EMF evaluation and assessments in northern California. Please feel free to contact us to discuss your project specific monitoring and compliance needs.